Political science Prof. Alvin Tillery said he moved office buildings from Scott Hall in June to distance himself from his colleague Prof. Jacqueline Stevens. The professors were in a dispute about an altercation in Tillery's office from the beginning of March. 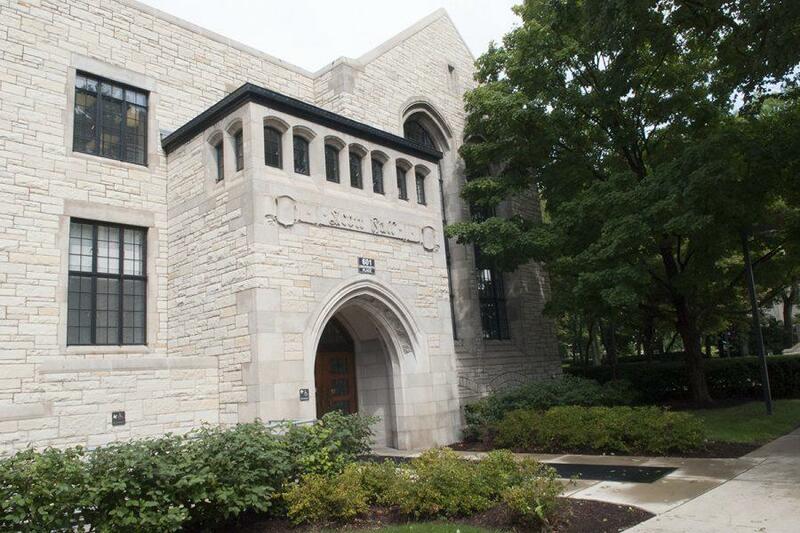 Political science Prof. Alvin Tillery is disputing Prof. Jacqueline Stevens’ blog post, in which she asserted she was banned from campus partly due to her role organizing opposition to former ambassador Karl Eikenberry’s appointment to a leadership role at Northwestern. Tillery, the associate chair of the department, said his months-long communication with administrators about Stevens’ behavior had nothing to do with Eikenberry or politics. Rather, Tillery told administrators that Stevens made him feel unsafe following an altercation in his office on March 8. In June, Tillery said he moved office buildings for the summer to distance himself from Stevens. In Stevens’ blog post, she wrote that she filed a complaint against a colleague whom she dubbed “Slammer” for “unprofessional conduct,” writing that the colleague “blew up, yelled at me, and slammed the door.” Stevens said in the blog post, which began drawing widespread attention last week, that Weinberg Dean Adrian Randolph sent her a letter at the end of July banning her from campus and from students as she awaits an evaluation by a University-chosen psychiatrist. Randolph said in an email to The Daily that the University would not comment on the issue “out of respect for due process” and to protect the privacy of the people involved. Stevens wrote in the blog post that she believes the action toward her can be attributed partly to her activism against Eikenberry’s appointment to lead the Buffett Institute for Global Studies. Stevens helped organize a faculty petition in February opposing Eikenberry’s appointment because of problems with transparency in the appointment process and concerns about using the humanities and social sciences to advance U.S. soft power. Eikenberry pulled out of the position in April. But a political science faculty member, who requested anonymity to discuss personnel matters, said although the timing of Stevens being put on leave might appear connected to her opposition to the Eikenberry hire, the story is “much more complicated” than that. The faculty member said an independent investigation into the incident in Tillery’s office was a catalyst for a deeper look into Stevens, whom the faculty member said had shown “alarming” behavior toward colleagues for an extended period of time. Stevens wrote in another blog post, published Sunday, that complaints from political science faculty about her may not be directly related to her involvement in the Eikenberry issue, but are receiving support from administrators who align with trustees that oppose Stevens’ research and publications. Stevens wrote that colleagues who complain about her behavior do so because she questions how they run the department. Stevens said she could not speak with The Daily because the University banned her from contact with students. 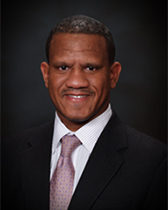 Tillery said administrators launched an investigation into the March altercation in his office when Stevens requested financial support in legal proceedings from the University after receiving the letter from Tillery’s lawyer. The letter demanded she retract her statements about the situation and reimburse Tillery for his attorney’s fees. Stevens responded on June 25 with her own letter, obtained by The Daily, threatening legal action if Tillery did not reverse his own statements about the incident, resign from his position as associate chair of the department and agree to participate in mediation with her colleagues in the office focused on political theory. Tillery said he feared Stevens behavior in his office was an attempt to set up an “angry black man narrative” — part of a series of microaggressions he said he experienced from her while working near her in Scott Hall. In a blog post published on Thursday, Stevens wrote that Tillery is either “inventing interactions that never occurred or he is having an idiosyncratic response to general statements made in the context of department meetings” or email exchanges with the political theory subfield. Tillery requested a different workspace in an email to administrators on April 12, writing that he was afraid Stevens’ behavior might lead to violence against him by her or another person. Part of the investigation involved a Northwestern student whom Stevens said signed a document corroborating her story. On June 8, five weeks after Tillery said he spoke to a University-hired investigator about the altercation in March, he sent a follow up email to administrators asking them to take “urgent action” in having his office relocated. Soon after, Tillery said he moved in to the Department of African American Studies for the summer months. Tillery got word at the beginning of August that he had been cleared of all charges and Stevens had been placed on leave. After Stevens’ blog post began making waves on the internet, Weinberg Dean Adrian Randolph sent out an email, obtained by The Daily, to the Department of Political Science on Sept. 2 notifying everyone that Stevens is on leave and “will be away from campus” during that time. “She launches this media campaign, and I remained silent for the last six months about what was happening,” Tillery said. Communication Prof. Laura Kipnis, who sparked national conversation last year for an op-ed criticizing strict rules against relationships between students and professors, said she hopes the administration is giving Tillery and Stevens equal treatment as they manage the dispute, instead of giving the appearance of “pre-judging” the situation. Although Kipnis said she and Stevens disagree strongly on certain political topics, the two professors have interacted on multiple social occasions without issue. “The idea that this is somebody who you have to be fearful of your physical safety around has just not been my experience,” Kipnis said. Some faculty have questioned whether Stevens being placed on leave was in alignment with rules set out in the Faculty Handbook. Art history Prof. Stephen Eisenman wrote in an email to The Daily that, according to Stevens’ account, she seems to have been placed on leave before an evaluation by a psychiatrist. However, the rules require a faculty member be evaluated by a healthcare professional before they are placed on involuntary medical leave. University spokesman Al Cubbage did not respond to request for comment for this story. Eisenman — who oversaw the 2015 revision of the handbook as Faculty Senate president — also raised questions about whether or not a Behavioral Consultation Team, which deals with potential security threats, was approached with Stevens’ case. The team — which is associated with University Police — was involved with Stevens’ situation, according to two members of the political science department. Eisenman also questioned whether Stevens would have the ability to challenge being placed on leave with the Faculty Senate’s Committee on Cause. The committee reviews sanctions when faculty members wish to appeal the administration’s decision. Religious studies Prof. Laurie Zoloth, Faculty Senate president, said in an email that new committee members will be elected at the first Faculty Senate meeting this fall, but there is a committee ready to be called to action at any time. Stevens’ undergraduate political science research seminar remains on record, according to CAESAR — however, there are only two students enrolled. Weinberg senior Hayley Hopkins, who has been a research assistant for Stevens for about a year and a half, said her work on a project with Stevens as an adviser has been stalled since she heard about the ban last week. Correction: A previous version of this article misstated that the Committee on Cause is not yet active for this academic year. There is a committee ready to be called to action at any time. The Daily regrets the error.